REVEALED: How Pogba Reacted After Mourinho Called Him A "Virus"
A day after Manchester United‘s frustrating 2-2 draw with Southampton on the weekend, emerging reports suggested that manager Jose Mourinho had strongly critiqued Paul Pogba for his performance at the St Mary’s. The midfielder, who finished 15th in the 2018 Ballon d’Or list, dropped one of his worst performance against the Saints, wherein his passing accuracy was bested by 7 United players, and he lost possession more times than any of his fellow teammates. 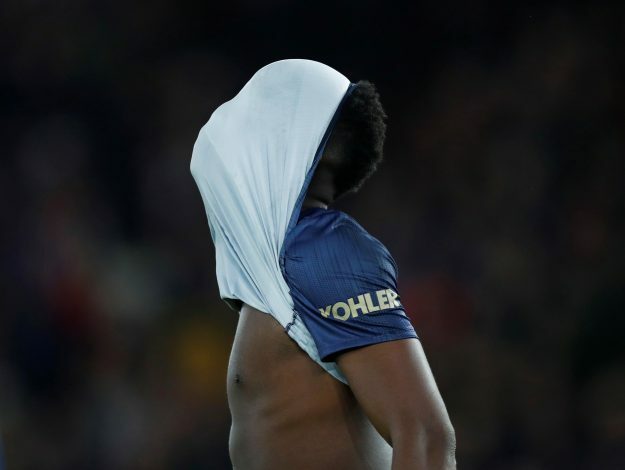 After the full-time whistle, Mourinho reportedly blasted Pogba in the dressing room in front of the entire squad, labeling the Frenchman a “virus” that failed to respect the shirt as well as his teammates on the pitch. Now, The Times have revealed how the reigning World Champion responded to his manager’s comments. The report indicates that Pogba wasn’t agitated with the name-calling, and instead replied in a calm and composed manner, taking a swipe at the tactics deployed by the Portuguese. The France international claimed that he had no-one to pass the ball to, citing the fact that Jose’s tactics do not allow players to make free movement around him. It appears as if Mourinho comments in his post-match press conference were specifically aimed at Pogba, as the Manchester United gaffer told BT Sport: “Doesn’t matter the system we play, has to do with the characteristics of the players. While the dressing room row did not get anywhere out of hand, it remains to be seen what effect it has on the duo in question as well as the entire team when they take on Arsenal up next.